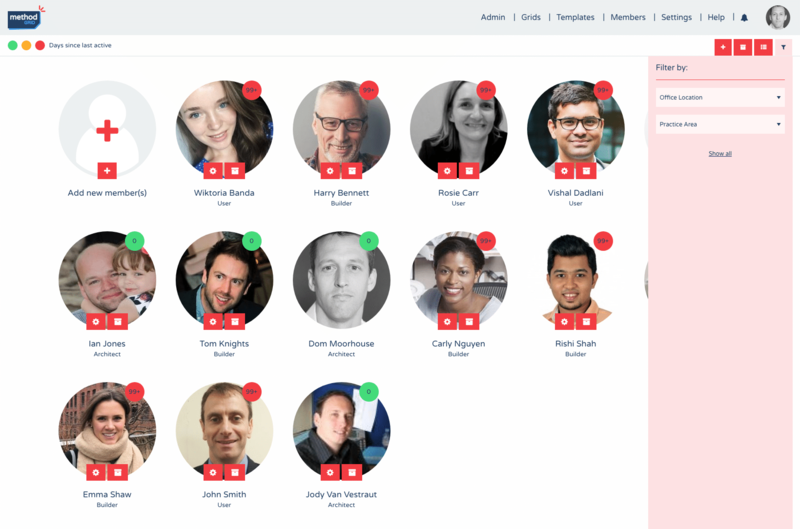 In this new feature we have changed how new members are added to your Method Grid platform. 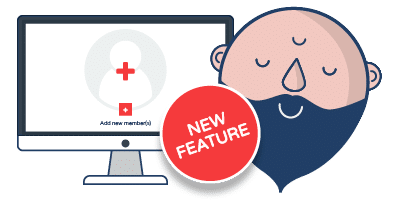 The Architects members panel has been redesigned to allow for easier member addition, and member management, for larger teams. 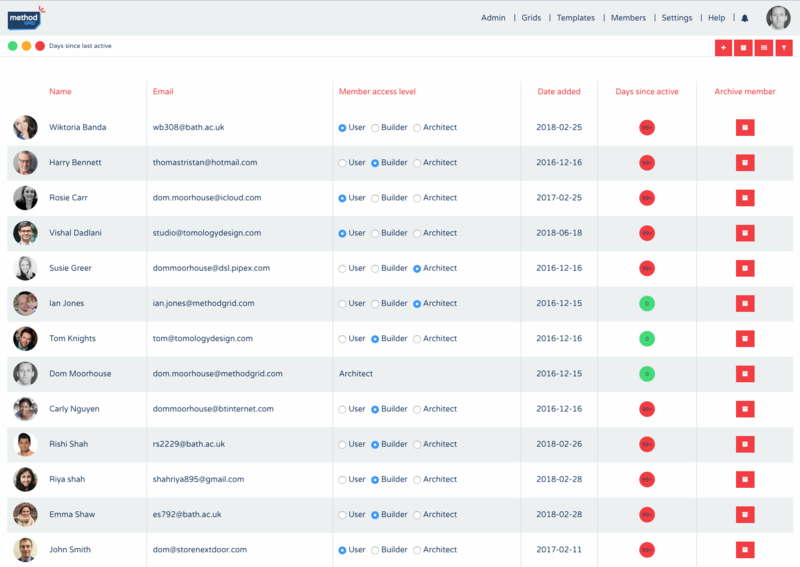 The builder and user view has also been redesigned to include a new list view option and the filtering functionality has been moved to the tool bar. 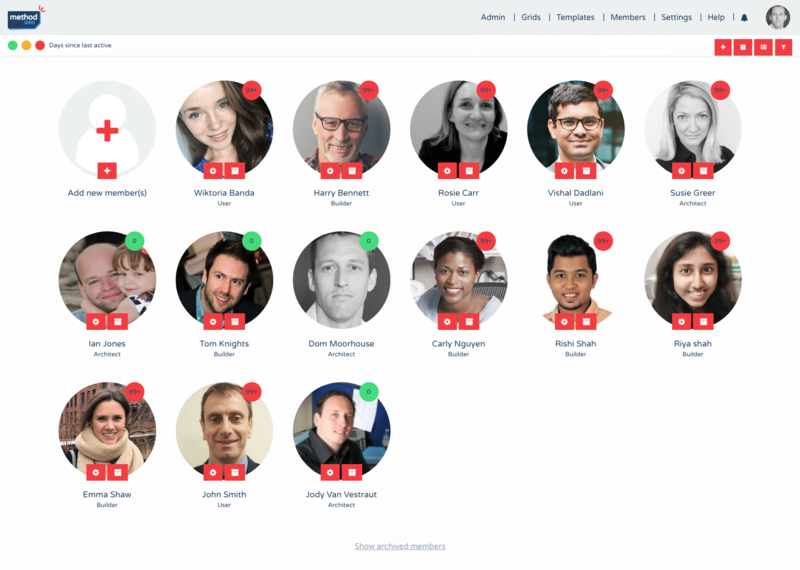 Architects no longer need to invite colleagues to join their Method Grid platform. Instead, by clicking add member, a modal appears. Here you add colleagues by inputting their name, email address and selecting their access level (user, builder or architect). Initially, three new member rows are on view (you can fill in only one name and email field if required), but if you wish to add more, just click the ‘+ Add 3 more rows‘ button in the bottom left corner of the modal and three more will appear. When you have added all the people you wish to add, just click the tick and each person will be added to your platform. If you are on a paid plan, as soon as you click the tick and the members are added, they will also be added to your subscription. You will get a warning message stating the cost increase for this action. Another new feature as part of this release for managing members is the ability to archive people instead of deleting them. If you click the archive button (the filing box icon) on the profile image of a member (see screenshots above) then that member becomes dormant. You can then view all archived members by clicking the the filing box icon in the tool bar, or by clicking the Show archived members link at the bottom of the members page. If you ever wish to reactivate an archived member then there is a + button on each archived members profile image which can be clicked to do so. They will then become active again on the platform and on your subscription. This functionality is only available to Architects. Next release will feature the reordering of your grid thumbnails by drag and drop and to organise them in folders and sub folders.